Ready for a little more space? We can help! Ready to add a little space onto your house? Jackson Quality Construction have done many exterior construction projects in Central Illinois. From large additions and wrap around porches to siding, roofing and doors. 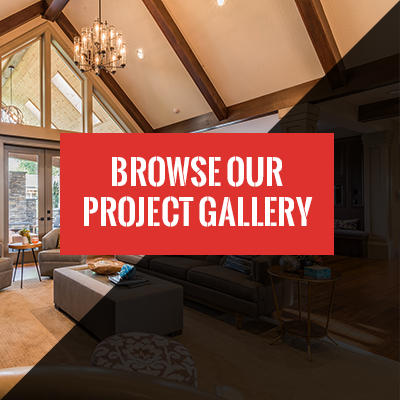 We can do just about any remodeling project that you can think of, so give us a call, and we can help you with whatever remodeling project you are considering. So you want a little more space? A little extra room because the family is growing ,children or parents are moving back home, you’ve always wanted that sun-room, or any of the thousand other reasons why your existing house just isn’t big enough? Jackson Quality Construction can design and build an addition to fulfill your dreams, so give us a call and let our designers create an addition to meet your needs as well as your budget. Are you planning on adding a new deck, or upgrading an existing one? At Jackson Quality Construction, our expert designers can work within your budget and help you sort through all the available options. Decks can come in a multitude of styles and material types, and each type has its own advantages and disadvantages. so when you decide to add to your outdoor living space, give us a call and we can help you turn your outdoor living space dreams into reality. Are you looking for a new door? Why choose a ready-made door when you can choose well made? At Jackson Quality Construction we offer the best doors in the industry with a variety of styles and options custom made for your home. We install energy efficient metal, fiberglass, vinyl and wood entry doors. We also install French and sliding patio doors. Whether your roof is showing its age or was damaged in a storm, Jackson Quality Construction will make sure that your roofing project is properly done, and will provide you with a rock solid warranty to ensure your peace of mind. Jackson Quality Construction is a licensed roofing contractor with an Unlimited License, giving us the ability to work on both residential and commercial roofing projects. The expert installation of new siding by Jackson Quality Construction can dramatically enhance your home’s appearance and energy efficiency, not to mention provide real value for your investment. We offer vinyl, metal, fiber cement and wood siding that can provide a variety of options to meet any need or budget. Whatever your siding needs may be, give us a call and we will be happy to assist you with your siding project. Do you need to replace your old windows? If so, Jackson Quality construction has a custom window solution to meet your needs as well as please your wallet. Whether you are looking for wood, vinyl, composite or aluminum windows, Jackson Quality Construction can expertly install windows that are energy efficient, durable, low maintenance, and aesthetically pleasing. Do you have a driveway, sidewalk or patio that needs replaced? Give Jackson Quality Construction a call and let us help increase the value of your home or business with our top-quality concrete designs.